Sun, ice cream, dolce vita – three terms, which are connected to “Bella Italia” and the typical Italian way of life. Especially the Neapolitan region is known for one famous meal: pizza. Also, many people associate the country with its intimate passion for vehicles of all kinds. This is where the history has its starting point for Euroveicoli S.r.l. The secret of success behind Euroveicoli is being dedicated to work, customers, family and people who work with them. Nevertheless, Italy has a highly competitive market concerning the automotive industry. Euroveicoli also makes this experience. „We have a lot of strong competitors to deal with, and none of them make our day easy”, Pio Puzone further explains. The fact that Euroveicoli is successfully in the competition is also evident from the new branch opened four years ago in Salerno. The owners are rightly proud of what they have achieved so far, but they are not resting on their laurels. „The branch grows with satisfaction. In 2019 our plans are to improve it to become even more present over the territory“. What kind of role do Diesel Technic and its brands DT Spare Parts and SIEGEL Automotive play here? 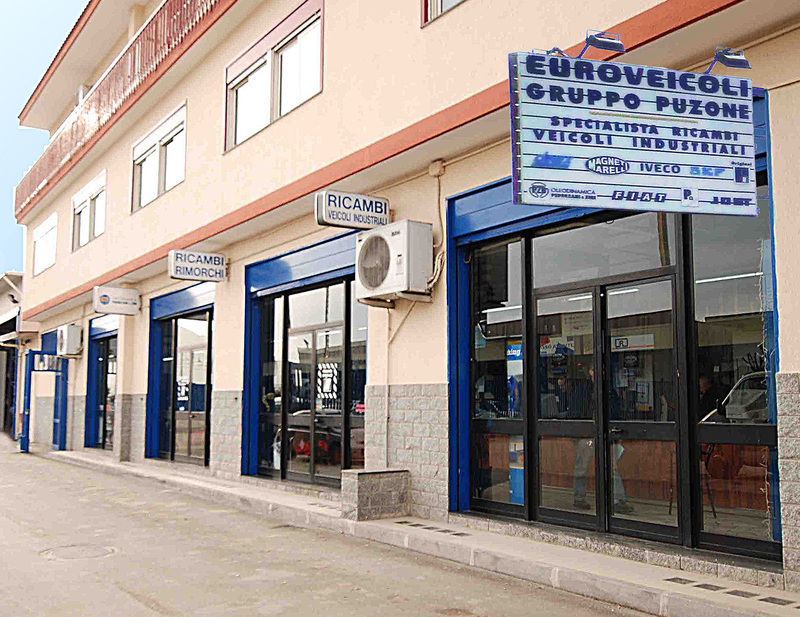 With their complete product range, they belong to the foundations of Euroveicoli’s work: „The strongest point of Euroveicoli is exactly the complete range of spare parts a customer can find”, states Pio Puzone. The DT Spare Parts range fits the needs of the customers perfectly. A complete range in guaranteed quality are values that are key to Diesel Technic and Euroveicoli – and of course to the end customers. The range offered by Diesel Technic is perfectly rounded up with products of the brand SIEGEL Automotive. With Diesel Technic by its side, Euroveicoli is broadly positioned. Even though the most common trucks on the Italian streets are from Iveco, Pio Puzone knows about the developments due to the eCommerce. “With the explosion of the eCommerce around the world, we must point out that a lot of light-medium vehicles are adding to our customers fleets.” DT Spare Parts has all spare parts needed in store. 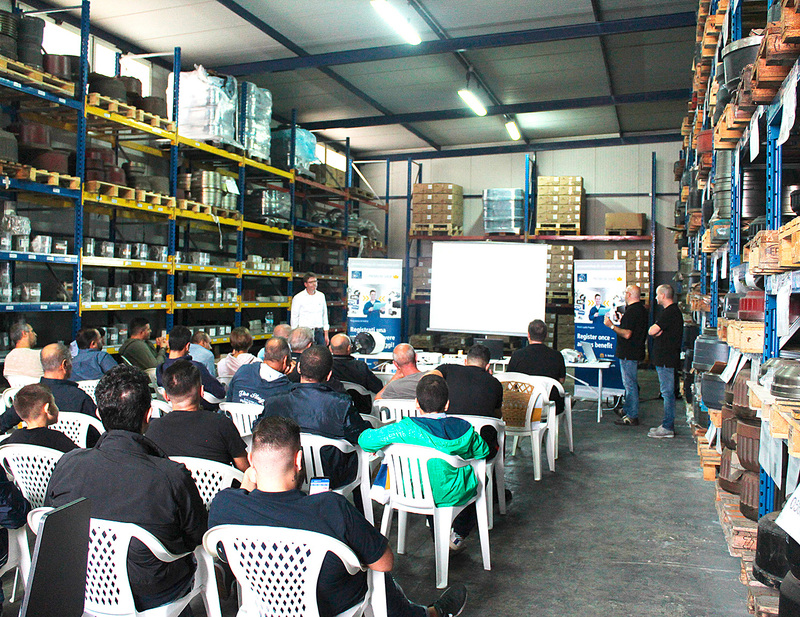 The partnership between Euroveicoli and Diesel Technic is based on open dialogues. “Every mutual proposal is already on the table, so I would say that we’re already on the best way continue the success in the future.” The story of Euroveicoli and Diesel Technic shows us also that a little persistence can do no harm – when one of Euroveicoli’s specialists first took notice of Diesel Technic and asked to open an account, it took some time until Diesel Technic opened their doors to them. “Luckily for both companies that we didn’t desist after the first try”, remembers Pio Puzone. “Once in contact, we started directly to appreciate the quality of the products and, most of all, the support to offer the brand to our market.” As one of the pioneers of the brand DT Spare Parts in the region, Euroveicoli did a great job to make the brand visible and desirable to the end customers. 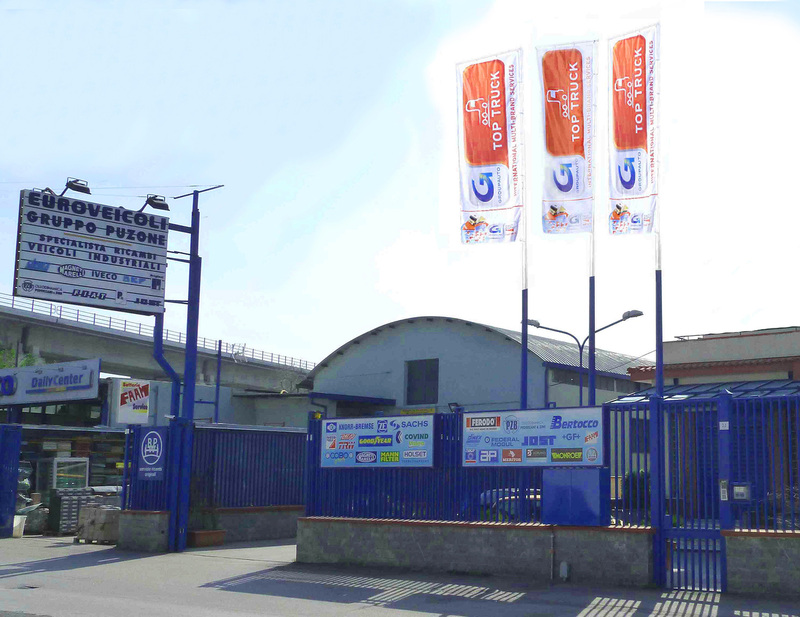 “To tell the truth, after a good start, we had some problems due to the opening to some more distribution partners, but we managed with Diesel Technic to find a solution for a friendly co-existence.” The potential of the Italian Diesel Technic subsidiary and its great team is much appreciated by Euroveicoli. Their employees values Pio Puzone as great people who are always helpful and competent.